One of such shortcomings is the failure of the Act to expressly include an oil rig as one of the vessels to be subject to the operation of the Act. This position has generated a lot of controversies which appears to have been taken advantage of by foreign shipowners. Over the years, the Nigerian maritime industry has witnessed the uncontrolled and illegal participation of foreign shipowners which has been detrimental to the industry. This position necessitated the enactment of the Coastal and Inland Shipping (Cabotage) Act in 2003. The Cabotage Act was enacted to restrict the participation of foreign vessels in the Nigerian Coastal Trade, to promote the development of local tonnage, to establish a Cabotage Vessel Financing Fund and to build human capacity. However, it is unfortunate that the Cabotage Act has not produced the desired effect considering that it is bedeviled with various shortcomings. One of such shortcomings is the failure of the Act to expressly include an oil rig as one of the vessels to be subject to the operation of the Act. This position has generated a lot of controversies which appears to have been taken advantage of by foreign shipowners. Nigeria as a Maritime Nation stands the chance of losing about $2,000,000,000($2 Billion Dollars) of revenue through taxes and raters that oil rigs and drilling operations are charged if steps are not taken in the right direction. Presently, there is a Bill pending before the National Assembly which has the aim of amending the Cabotage Act. This Article seeks to focus mainly on the Bill to Amend the Cabotage Act with emphasis on Section 13 (definition section) of the Bill to Amend the Act. The Cabotage Act 2003 was enacted with the aim of enhancing the participation of indigenous shipowners in the domestic coastal trade and restricting the use of foreign vessels engaging in the domestic carriage of goods and passengers within Nigerian coastal waters. Nigeria, wholly owned by Nigerian, wholly crewed by Nigerians and registered in Nigeria can engage in cabotage trade. However, sections 15 – 20 of the Act stipulates that foreign vessels may be permitted to participate in cabotage trade if the necessary application for a restricted license and waiver has been made to the relevant authority and approved. Section 30 of the Act empowers NIMASA to enforce and implement the provisions of the Act. The Cabotage Act with all its positive intent and purposes has so far not achieved its objectives due to various drawbacks in the provisions of the Act. One of such drawbacks is represented by the position in which the Act failed to expressly include an oil rig/platform as one of the vessels specifically falling under the operation of the Act. This drawback has generated controversy and foreign shipowners have in recent times contested that oil rigs cannot be considered as vessels falling within the operation of the Act which is presently the subject of litigation. It is of important to note that section 2 of the Act as quoted above, did not expressly define a vessel as a specific thing. Rather, it simply identified certain requirements for determining what could be regarded as a vessel for the purposes of the Act. Interestingly, foreign shipowners are aware of the failure of the Act to classify a particular thing as a vessel and have advanced this position for arguing that an oil rig is not a vessel under the Act. However, it is posited that the argument of the foreign shipowners cannot be sustained. This is because a close scrutiny of section 2 of the Act reveals that a crucial requirement for determining that a thing can be regarded as a vessel under the Act is that such a thing must have been described as a vessel. In other words, any available description of a thing as a vessel will render such a thing to be recognized as a vessel under the Act. Given this position, it is important to identify those laws that have expressly described an oil rig as a vessel which provides a premise for arguing that oil rigs are subject to the operation of the Act. The MSA 2007 expressly included oil rig/platform in its definition of a vessel. Section 337 of the Act provides that a “vessel” means “any ship, craft, machine, rig or platform whether capable of navigation or not which is involved in a collision”. The NIMASA Act 2007, expressly described an oil rig as a vessel. Section 64 of the Act provides that a “vessel “ means “any kind of vessel that is used, or capable of being used, in navigation by water, however propelled or moved, and includes: a barge, lighter, floating platforms, restaurant or other floating vessel; and an air-collusion vehicle; or other similar craft that is used in navigation by water. It must be noted that Nigeria is not a standalone jurisdiction in describing an oil rig as a vessel as it appears that other maritime countries have also described an oil rig as a vessel. Reference is made below to some maritime countries that have expressly described an oil rig as a vessel. In the Netherlands, a ‘ships’ or “vessel” is defined as “all objects which, according to their construction, are destined to float and which float or have done so”. This means that all floating offshore structures (including oil rigs) are registered in the Netherlands and fall within Coastal trade. In the United States of America, under the Jones Act, the following are classified as vessels: ocean-going ships, Tug boats, barges, dredgers, pile drivers, commercial fishing boats, offshore oil platform service boats, oil drilling rigs, Jack-up rigs, Semi-submersible rigs, Drilling ships, Tension leg platforms, and other types of maritime craft. This list practically covers all forms of structure. In the case of Offshore Co. v. Robison, 266 F.2d 769 (5th Cir. 1959) it was held that a mobile drilling platform was a vessel and that “vessel” had a “wide range of meaning”. In the United Kingdom, The Merchant Shipping Act defines a ship “to include every description of vessel used in Navigation”. There is no specific type of vessel mentioned, thus covers all forms of structures. The author of Admiralty & Maritime Law (4th ed. 2004) further buttress this fact by stating emphatically that virtually every type of movable rig or structure qualified for vessel status. Having established that the description of an oil rig as a vessel is not peculiar to Nigeria but is prevalent in other maritime countries, it is pertinent to consider the position of the Nigerian courts on the matter. 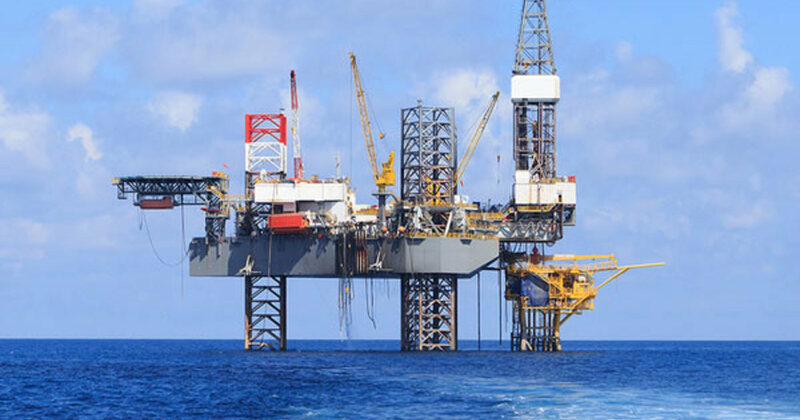 The controversy regarding whether an oil rig is to be regarded as a vessel and subject to the operation of the Cabotage Act has been the subject of judicial consideration. In the case of Noble Drilling (Nigeria) Limited v The Nigerian Maritime Administration and Safety Agency (“NIMASA”) and The Minister of Transportation, the Federal High Court was presented with the opportunity of determining whether an oil rig could be regarded as a vessel for the purpose of the Cabotage Act. 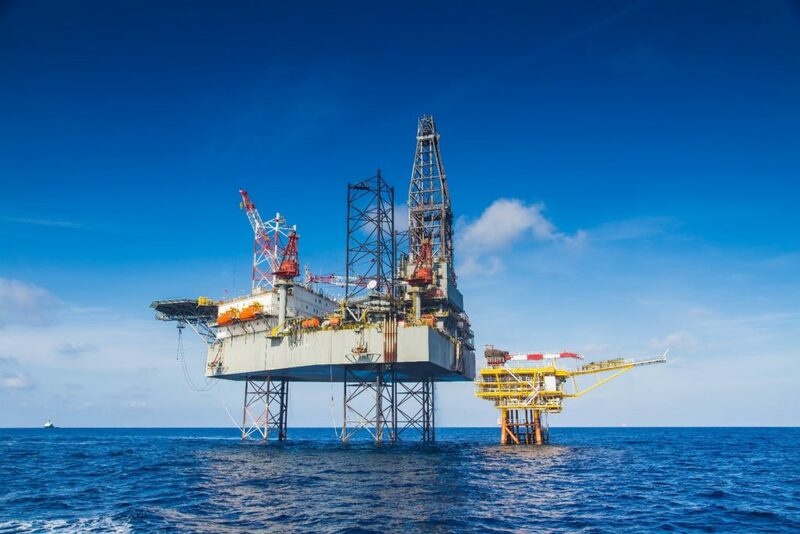 The Plaintiff, Noble Drilling (Nigeria) Limited, argued territorial waters (drilling operations) did not amount to defined under the Cabotage Act. The Defendants, (Nigerian Maritime and Safety Administration (NIMASA) and the Minister of Transportation) argued that because drilling rigs carry oil and other substances from the sea bed to the surface, they are regarded vessels within the contemplation of Section 2 of the Cabotage Act. They argued further that the definition of the word “ship” or “vessel” includes a drilling rig under the Act thereby rendering the use of a drilling rig within the Nigerian Coastal Waters subject to the operation of the Cabotage Act. However, the Court held that the definition of the word “vessel” in the Cabotage Act did not include an Oil rig by laying emphasis on the fact that oil/drilling rigs were not expressly mentioned in the Act as one of the vessels to be subject to the Cabotage Act. It is respectfully submitted that the position of the Honourable Court is flawed upon the premise that while the Cabotage Act failed to expressly include an oil rig as a vessel to be subject to the operation of the Act, the list of vessels expressly identified in the Act to be subject to the operation of the Act is neither exhaustive nor a closed list. 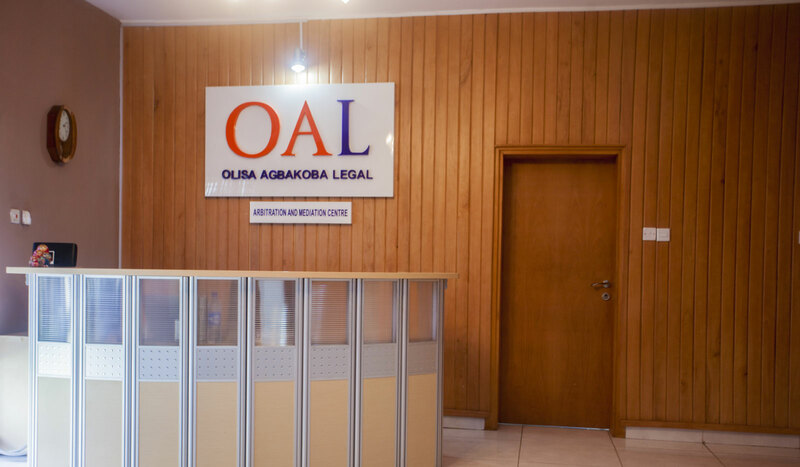 It is important to note that the case is presently on appeal and it will be interesting to see the decision which the appellate court will arrive at in its determination of the appeal. 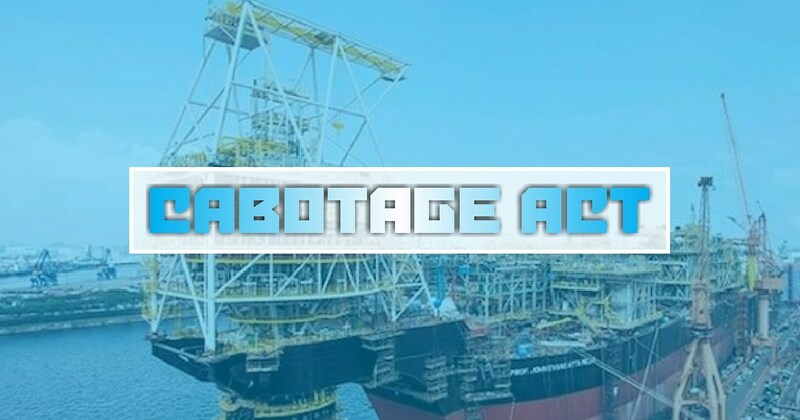 In any event, it is crucial to note that the failure of the Cabotage Act in expressly classifying an oil rig as a vessel appears to have been addressed in the recent Cabotage Amendment Bill presently undergoing consideration at the House of Assembly. The importance of this section of the Bill cannot be overemphasized. The lack of inclusion of an Oil rig/platform as a vessel has resulted in a number of suits being instituted at the Federal High Court. The failure of the Cabotage Act to expressly describe an oil rig as a vessel has also been used by foreign shipowners as an avenue for contesting the statutory powers of NIMASA to levy its statutory fees on oil rigs employed by these shipowners in their drilling operations. Against this position, a number of shipowners trading within the Nigerian Coastal Waters are refusing to register their oil rigs as required by the NIMASA Act thus denying the Nigerian Government of the required taxes and rates. Nigeria as a Maritime Nation now stands the chance of losing about $2,000,000,000 ($2 Billion Dollars) if this is not tackled promptly and accordingly. The provision of Section 13 of the Cabotage Amendment Bill is therefore welcome as it provides a remedy to the existing drawback in the Cabotage Act represented by the failure to expressly describe an Oil rig/platform as a vessel. The need to pass the Bill pending before the National Assembly cannot be overemphasized. The passing of the Bill will help generate lost revenue and further boost our maritime trade, and importantly, it will finally put an end to the controversy regarding whether an Oil rig/platform is to be regarded as falling within the operation of the Cabotage Act. This is a well thought out article and although I would have loved to share in the sentiment of my fellow Nigerians in this regard, I would like to take an albeit neutral view. It is common ground that at law without an express provision of the Act on a particular matter the court will the left to interpret the true intention of the draftsmen. In this particular issue, it is to be noted that a rig (Ingersoll cyanide well rig) had been interpreted by the court,Supreme court in CDC V. S.C.O.A Ltd .to be a motor vehicle to suit the description of same in Section 20 of the Hire Purchase Act., in that the rig in question was registered under a vehicle licensing office with a chassis number, insured and issued a certificate of road worthiness inter alia. 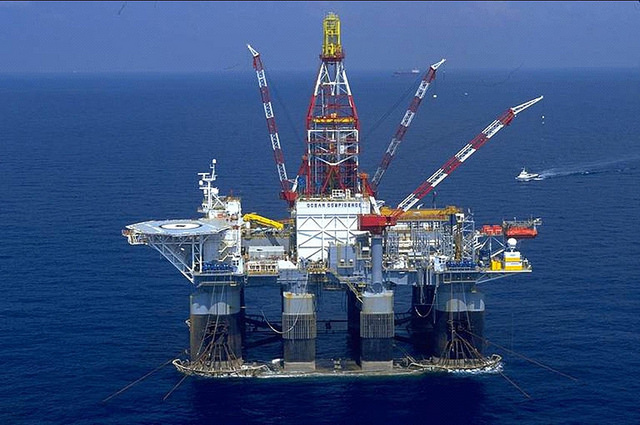 though a rig as we all know is used mainly for offshore purposes. Though the ruling of the apex court in deciding a rig to be a motor vehicle is widely disputed by learned scholars like Prof. J.O Odion(UNIBEN)in one of his commercial law lectures, I hold that the supreme court’s decision to be valid though that is a discuss for another paper or comment. At this juncture, I would like to point out the Section 16 (1) of the Merchant Shipping Act 2007, which maintains the provision of a Shipping Registry Office. I believe that the import of the said section is that ships shall be duely registered with the relevant authorities under the NIMASA Act, NPA Act and other aforementioned Act. Be that as it may, what determines whether a rig is a vessel without recourse to the Cabotsge Act is its registration port. Where was the rig registered? is it at a Shipping Registry, a motor vehicle licensing office(CDC v. SCOA) etc. Hence what determines the true nature of a rig of any sorts is its port of registry. In conclusion therefore, though a rig was excluded by the Cabotage Act as to what constitutes a vessel, then the next step is to check where the said rig was registered and if it can be adduced in evidence that it was registered other vessels named in the Act were registered then it will unqualifiedly pass on as a vessel. This kind of clever work and reporting! Keep up the wonderful works guys I’ve added you guys to my own blogroll. a taboo subject but usually folks don’t discuss these topics.